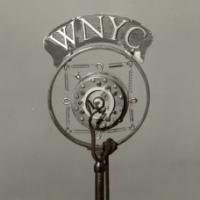 In honor of the station’s 85th anniversary, WNYC: Transitions and Transformations, presents a sonic celebration of the station’s history as reflected by its life in the historical Municipal Building at 1 Centre Street, and its new home in Hudson Square. The station’s stars and staff share favorite memories; quirky characters; haunting sounds; and their visions of the future, including David Garland, Host of Evening Music, who provides a glimpse of 1924, featuring epoch-defining music from 1924: George Anteil’s Ballet Mecanique, George Gershwin’s Rhapsody in Blue, Giacomo Puccini’s Turandot, and Jelly Roll Morton’s Big Foot Ham and Bucktown Blues. Featuring: Alicia and Jason Moran, Marta Eggerth, Dave Burrell and Matthew Marks. Join us for a champagne toast at 6 pm.